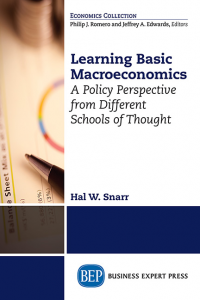 Hal W. Snarr currently teaches at Westminster College, which is located in Salt Lake City, Utah. He graduated from Naval Nuclear Power School, has bachelor’s degrees in business and mathematics, and earned a PhD in economics from Washington State University. 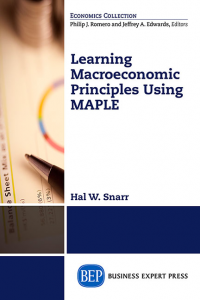 His teaching career began in the U.S. Navy; today, Hal has a YouTube channel (The Snarr Institute) and website (www.halsnarr.com) that are used to deliver lectures on macroeconomic principles and other topics in statistics and economics.